Home | MODELS, KITS | T-REX REPLICAS | Allosaurus Dinosaur Wall Trophy: Mouth Open 28"
Allosaurus Dinosaur Wall Trophy: Mouth Open 28"
Allosaurus Dinosaur Wall Trophy: Mouth Open. 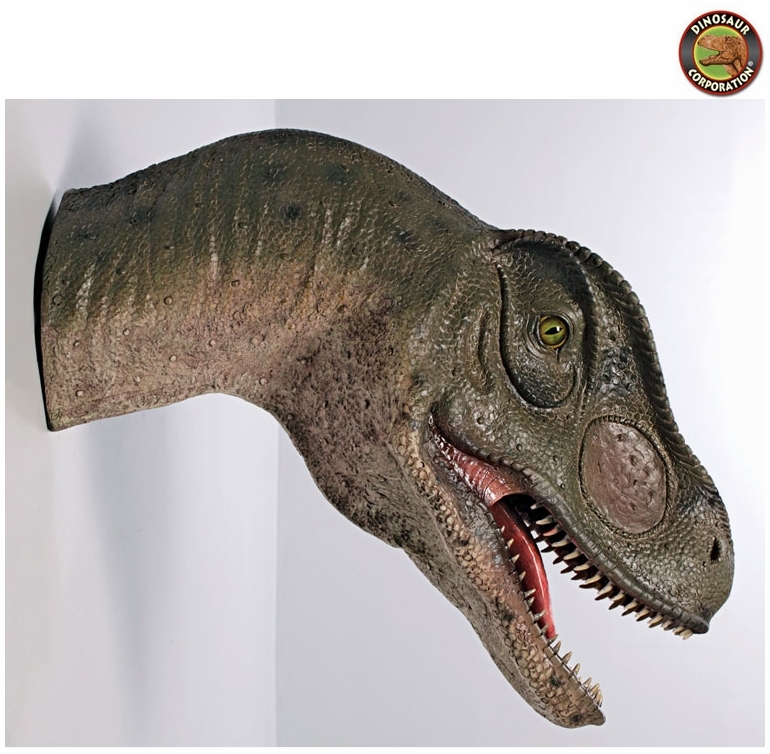 Our fierce, attacking Allosaurus head extends a full 23" from the wall in a prehistoric display of nature's artwork. This Jurassic-sized predator was one of the first dinosaur movie stars, starring in the 1925 all-dinosaur film, Lost World. Realistically sculpted with the powerful open mouth of a carnivore, it makes a prehistoric statement piece. Our giant, prehistoric replica dinosaur wall trophy is cast in quality designer resin, reinforced for supreme strength with fiberglass and hand-painted with powerfully convincing color and texture to be as faithful as possible to the form of its ancient species. Includes custom-designed, heavy duty mounting bracket to hold it securely on your wall.